An Intimate Evening with Jorma Kaukonen provided a transcendental night of music, not only because of a live acoustical solo performance by a phenomenal blues-folk-rock guitar master, Rock & Roll Hall of Fame inductee and founding member of The Jefferson Airplane and Hot Tuna, but also for its extraordinary purpose. 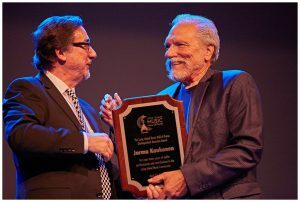 Jorma Kaukonen teamed up with the Long Island Autism Communities, Inc. (LIAC, www.licommunity.org) for this event. When you think about autism, you think of children and children grow up. All proceeds raised benefitted the LIAC to help these adults with autism. 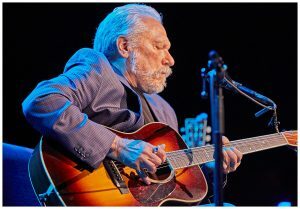 Jorma Kaukonen, one of the most important single artist to intertwine the blues, folk, psychedelic rock, and Americana music genres for more than 50 years. He has stirred generations while continuing to build his own legacy with renowned bassist Jack Casady. However, on this evening, Jorma played for an incredible cause, the LIAC, a 501(c)(3) not for profit dedicated to developing supportive integrated communities for adults with autism. 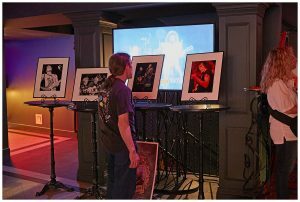 This “Intimate Evening with Jorma Kaukonen” was LIAC’s first major fundraiser. In addition to having the privilege of experiencing yet another Jorma live acoustic show, we were treated to a rare question and answer segment with Jorma. He shared personal stories from his legendary career. The Live Auction featured autographed items donated by Jorma himself—including an autographed guitar, photographs and a weekend at his family’s renowned Fur Peace Ranch as well as incredible Caribbean vacations. 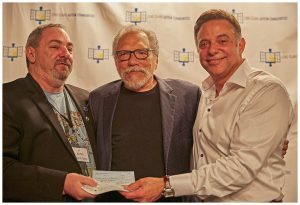 In addition, for his many stellar performances and contributions to the Long Island music community, Jorma was presented with The Distinguished Musician Award by Ernie Canadeo, Chairman of the Board of Directors of The Long Island Music Hall of Fame. Due to the significant shortage of homes where adults with autism can live, LIAC‘s founder, Charlie Massimo, who has 17 year old triplets; one daughter and two sons, both of whom have autism, founded this organization in 2015 to build housing communities around Long Island for adults on the autism spectrum. LIAC’s goal is to assure families that their children will be cared for in their later years once their caregivers are no longer around. According to the Centers for Disease Control and Prevention, 1 in 68 children in the U.S. is autistic. When these children reach adulthood, they will need a place to live, work, socialize and realize personal fulfillment in a community that embraces and supports them. Within the next 5–10 years there will be over 3 million people with autism in the United States, with tens of thousands here on Long Island, the second largest cluster in the country. LIAC seeks to develop privately-controlled, person-centered, supportive, supervised living communities on Long Island for adults with autism. The LIAC communities will allow autistic adults to live a self-directed, independent life where each individual is given every opportunity to attain their aspirations and enjoy a happy life filled with purposeful activities and relationships. The homes will also allow for socialization and integration with community members, businesses, houses of worship and everything else Long Island communities may offer. With its first accepted offer on a property in the beautiful Village of Patchogue, LIAC’s initial goal is to develop its first community for adults with autism on or before 2018. 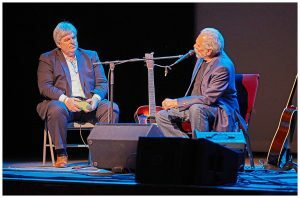 Jorma’s appearance at this event was a pure sign that music does in fact make a difference. Jorma, founding member of both The Jefferson Airplane and Hot Tuna, Rock & Roll Hall of Famer, Grammy Award winner, and ranked number 54 on Rolling Stone magazine list of 100 Greatest Guitarists, performed two sets sandwiched around a question and answer session. Jorma opened his performance with classics, Too Many Years, Sleep Song and Watch The North Wind Rise before he participated in the Q and A with Steve Berensen, a longtime friend of Jorma’s and on the LIAC planning committee. During this segment of the evening’s affair, Jorma spoke about his creating music, both as a solo artist and with Hot Tuna and Jefferson Airplane. Jorma admitted that Jefferson Airplane had a rather “strange” chemistry but every member brought a different perspective into the creativity process as well as all having varying methods in their approaches. Specifically, Jorma commented how Grace Slick, Phil Kantner and Marty Balin would practice for hours on their harmonies while allowing him and Jack to play along, and it somehow worked. Jorma told us that to this day he doesn’t know how he wrote the Jefferson Airplane’s classic song, Third Week In Chelsea. We learned that during Jefferson Airplane’s three week stay at New York City’s Chelsea Hotel on 23rd Street, he woke in the middle of the night, played something into a recorder he kept at his bedside and went back to sleep. He was astonished when he woke the following morning, turned on his recorder and he had a song. In answering a question as to when Hot Tuna formed Jorma commented that people believe that Hot Tuna was formed in 1969 while he and Jack were playing with Jefferson Airplane, he took pride in informing us fans that he and Jack, as teenagers, started what was then called The Triumphs in a Washington D.C. garage back in 1957, hence the birth of Hot Tuna. After a short break, Jorma came out and played some of his legendary works such as Death Don’t Have No Mercy, Trial By Fire, Come Back Baby, Been So Long, Good Shepherd, Bar Room Crystal Ball, Water Song and I Know You Rider, just to name a few. Interestingly, in Jorma’s vast catalogue of music he ended the evening with his ever popular, Barbeque King, from an album released in 1980 of the same title. Jorma’s music and tales from his career and his adventures on the road were the perfect back drop in bringing to the forefront the Long Island Autism Communities and its efforts to make a better future for our autistic children when they become of age.